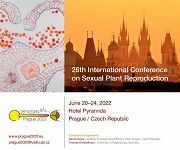 Welcome to the website of the International Association of Sexual Plant Reproduction Research (IASPRR). The purpose of the IASPRR is to stimulate scientific research in the field of plant reproduction and related subjects, to develop experimental tools and to promote the application of the results of such research in agriculture and forestry. 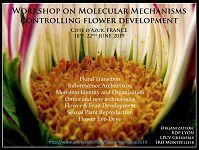 Mission: The Association promotes contact between scientists undertaking research in plant reproduction and related subjects through the initiation of conferences and congresses, workshops, databases, and by the exchange of information concerning the entire range of activities in the field of plant reproduction research. The society maintains a public website, publishes scientific articles in the journal Sexual Plant Reproduction and informs its members about scientific activities and advances via the Plant Reproduction Newsletter. Membership: The board of IASPRR is pleased to invite you to become a member of the Association. See the attached flyer for further information about member benefits. New IASPRR membership forms and membership renewal can be found here. Foundation: The IASPRR was founded on 6 July 1990 in St. Petersburg during the XI Congress on Sexual Plant Reproduction. Since its members have organized 10 IASPRR conferences and numerous smaller workshops, schools etc. The IASPRR is affiliated with the International Union of Biological Sciences (IUBS).